Welcome to the 'LPT Interface' project! The aim of this project is to make the application 'LPT Interface' for Educational Purposes. With 'LPT Interface' application and with a simple Hardware Interface that is being connected to the parallel port of the computer the pupils can study the principles of the Robotics in Secondary school on technics class. The pupils can with 'LPT Interface' read and write the eight Data Port Bit (01234567), four Control Port Bit (0123) and read four Status Port Bit (4567) of the parallel port. Such a Hardware Interface is very easily to make in the School by a technics Teacher. 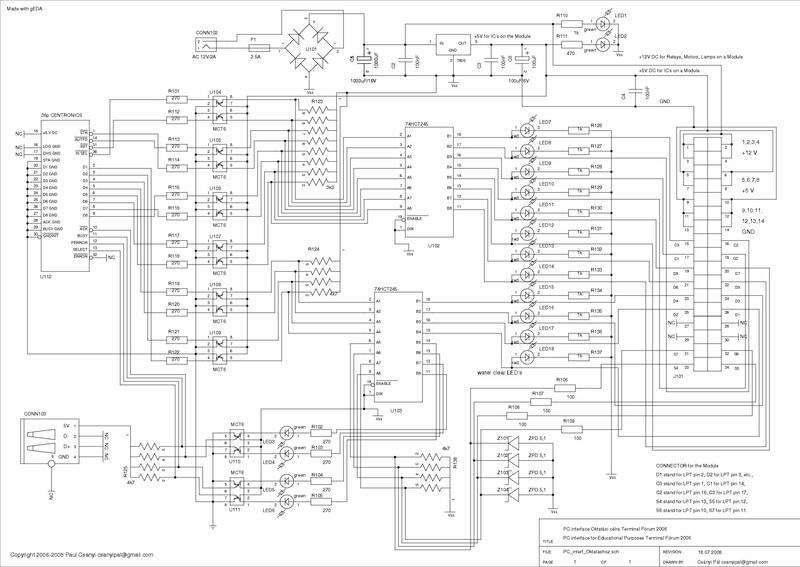 You can look here for schematic of such a Hardware Interface. One can to make a Module for this Hardware Interface. That Module can contain one or more Electric Motor, Relay, Sensor, etc.. When such a Module is being connected to a Hardware Interface pupils can control from 'LPT Interface' on this Module: the Electric Motors, the Relays, etc. too, and can to see an Input from a Sensor in the 'LPT Interface'. The 'LPT Interface', a Hardware Interface and a Module make the system that is actually a very simple 'Robot'. "A re-programmable multi-functional manipulator designed to move materials, parts, tools, or specialized devices through variable programmed motions for the performance of a variety of tasks." The 'LPT Interface' is an 'Actuating' part and a Module with an Electric Motor is a 'Moving' part of the 'Robot'.